Posted in Blue Hens in the Burgh	by M.L. On Thursday, September 22, 2016, I had the honor and privilege of attending the Duquesne University President’s Inauguration. You may think it’s odd that I was there, considering I have absolutely no connection to Duquesne whatsoever, and in fact, before that day, I had never actually even been on Duquesne’s campus. This opportunity came about for me, when I got an email from someone at the University of Delaware’s Alumni office, saying that UD’s President, Dr. Dennis Assanis, had been invited to this Inauguration, but he was unable to attend – since I am the UD Pittsburgh Alumni Club President, would I like to represent him instead? Whiskey would not be my drink of choice, especially not served neat or even on the rocks. But as I sat amongst the whiskey barrels and the copper stills, I felt this air of sophistication and this feeling that, yes, I could be the girl who orders whiskey. I could be the one who sits down at a bar and orders it straight up and knocks it back, enjoying the harsh bite as much as the oaky flavor. But no. I’m decidedly not that whiskey-drinking girl. 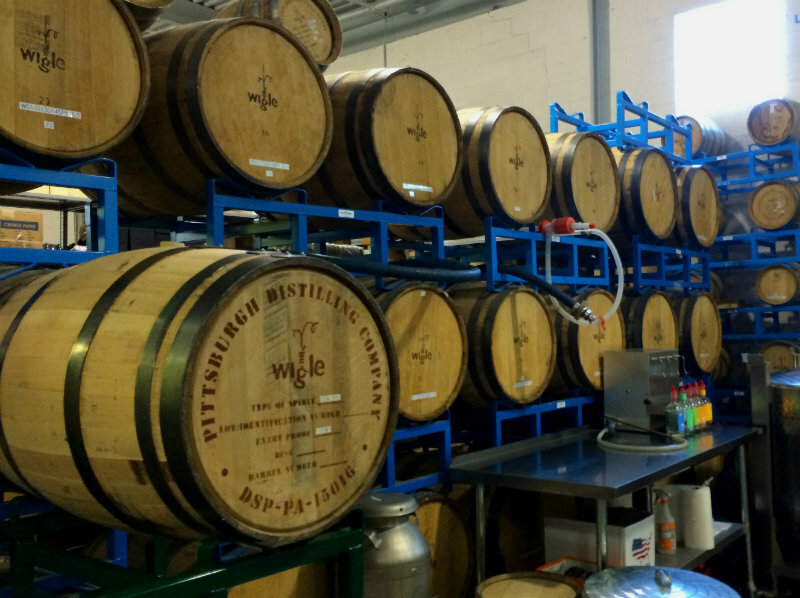 But I was pleasantly surprised at how much I did enjoy our tour of the Wigle Whiskey Distillery located in the Strip District of Pittsburgh. 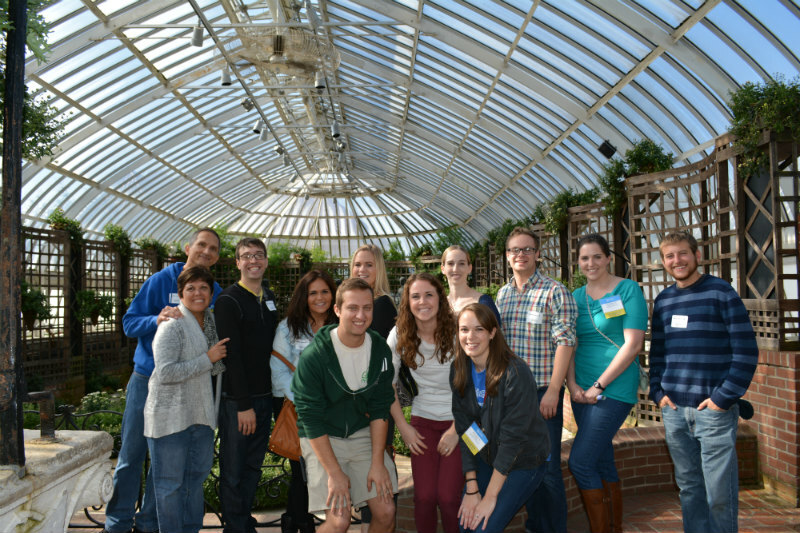 Today, the sun was bright and shining on a crisp fall morning, while the University of Delaware Pittsburgh Alumni Club explored the gorgeous greenhouses of Phipps Conservatory. When I first visited the conservatory, about a year and a half ago, I had anticipated a quick walk-through, a moment of appreciation and an otherwise unexciting look at plants. I quickly learned how wrong I was and how much there is to see and appreciate at Phipps. I had fallen in love with with this secret garden and its natural, flawless beauty, so I was thrilled that we were able to give our alumni the same opportunity. When I graduated from the University of Delaware in 2012 and moved back to Pittsburgh without a job, I thought I was leaving everything behind. My friends and classmates I’d met at UD were mostly from the east coast, as well as my professors and potential job contacts. I’d had work experience affiliated with the university and I’d become familiar with the area and the companies. I’d consulted with a staff member at Career Services and I perused the job boards on their website many times, and it seemed that they had the most connections in east coast cities. When I moved back home, I felt lost. I was working as a waitress, attempting to reconnect with a few high school friends, and struggling to search for a job on my own. I thought I had lost my network. But by a miraculous stroke of luck or fate, I came across the UD Pittsburgh Alumni Blue Hen City. Just a few months after meeting a few fellow alumni, I felt like I’d found my home again. Once again, I was taken aback by the enthusiasm and college pride shown by my fellow Delaware alumni. It started with a happy hour. I had gotten an email from the office of the University of Delaware Alumni Relations, saying there was an event for UD Alumni in my area and I was invited. As a general rule, I had dismissed UD emails, ever since graduation. Delete, delete, delete. I loved my four years, but I’ve done my time. All they want is money and I’m sorry, but I just don’t have any. I’ll be paying off those four year for ten more, so nope, I don’t think so. Except the words “Happy Hour” jumped out at me. So I begged my friend Laura to come along, just see how it was, we could leave if it was super lame. It was a Friday evening after work. We ended up staying for a few drinks and a few appetizers. And I actually had a great time. When I went to college in the state of Delaware, it didn’t occur to me that when I graduated and possibly moved back home, that I would be leaving all my friends and would be very far from the people I’d met and grown to love. My friends are scattered across the east coast and trickling into the south. All by myself in Pittsburgh, I find myself missing my friends from Delaware, a phone call just not cutting it. So when I walked into the Harris Grill and started talking to some of the alumni, I was amazed. They had lived on the same street I did. They had frequented the same bars. They remembered the same things. Some were athletes like I was, others had taken the same classes. I found that I could strike up a conversation with anyone in the room and feel comfortable. I felt like I had found a unique little family there. Laura and I didn’t stay the whole time, but I didn’t leave without the promise of more. I was introduced to a board member of the UD Pittsburgh Alumni Club and he mentioned that he needed help. I said yes and handed him my card. So here I am, planning events, making budgets, and connecting with UD Alumni in the Burgh. A position that I never thought I would be in. I thought that my four years would end and that would be that. But I hadn’t realized, as I walked across the stage at graduation, that my college experience is a part of me and it won’t just disappear because I no longer have a Newark zip code. 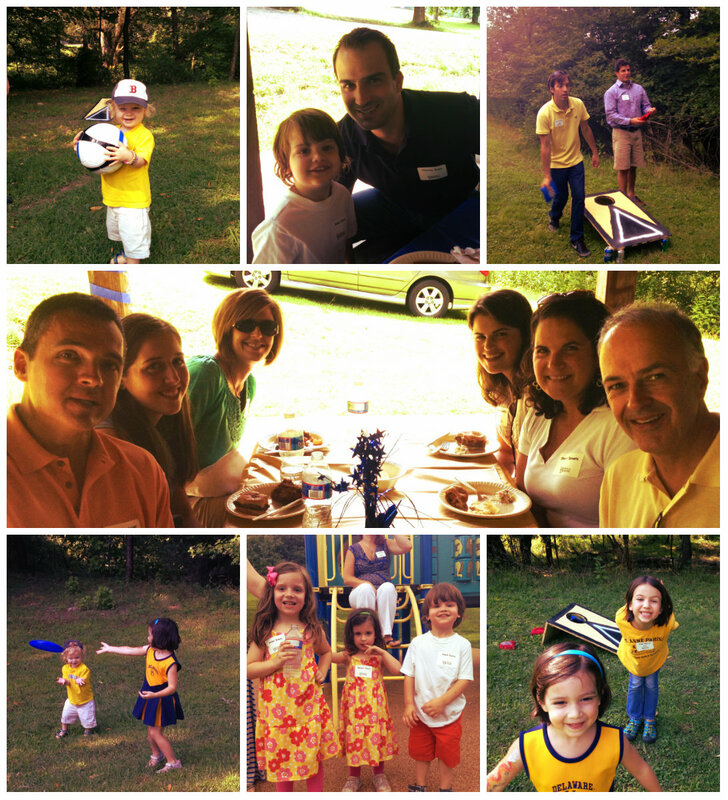 Last weekend, I went back to UD for Alumni Weekend. I really just wanted an excuse to get together with my college roommate and best friend who happens to live in North Carolina, too far away for a weekend visit. But the trip ended up being a little more than that. Before the weekend activities officially started, I attended a luncheon with University of Delaware President, Patrick Harker, followed by a new volunteer training session. I was able to meet fellow alumni from across the U.S. who had attended the university for many reasons and had then become involved in their respective Alumni Clubs for so many different reasons. Everyone had a unique story to tell, but the theme was generally the same. They came across UD alumni or alumni clubs, remembered what an impact their college experience had on their life, and wanted to connect and reconnect with others. It was a revelation for me. I have friends, and have met others, who love their school and who will identify with their school for as long as they live, regardless of alumni clubs or networking. But those people go to “football schools”–Penn State, Ohio State, Pitt, Michigan, etc. Their loyalty lies in the fact that their school is famous in the media. People rally around players and teams, whether they attended or not. And here I was at UD, meeting people of every age who feel that way, despite the fact that our school is not a “football school.” These people were genuinely happy to be back on campus with fellow volunteers, to tell their story, and to find new ways to engage alumni. I learned how much Alumni Relations and the Alumni Association has grown in the past few years and how much more active alumni have become across the country. President Harker expressed his sincere thanks, acknowledging that it couldn’t be done without volunteers like us who plan events and spread the word. After lunch, the new volunteers broke off into groups to brainstorm about events and come up with solutions to common challenges that every club faces. These challenges include having fellow board members who are too busy to help plan events or getting stuck in the rut of having the same type of events over and over, among others. I realized that a lot of the clubs in different cities have very few board members, just like Pittsburgh, or they are brand new and are struggling with pulling new members in, also like Pittsburgh. It was comforting to hear the stories, struggles and successes of others, and I learned I was not alone. I came back armed with inspiration and new ideas for events and ways to connect with alumni in my area. As a young professional, I feel that I have the advantage in this Alumni Club-situation. I can plan these events, gaining valuable experience in the process–learning communication and marketing skills–and I can make connections and expand my professional network with the people I meet. The way I see it, this is a win-win for me. I am (slowly but surely) learning to plan these events and am becoming more confident in my new role. Not to mention, I’m meeting some pretty awesome people, who have amazing stories to tell. 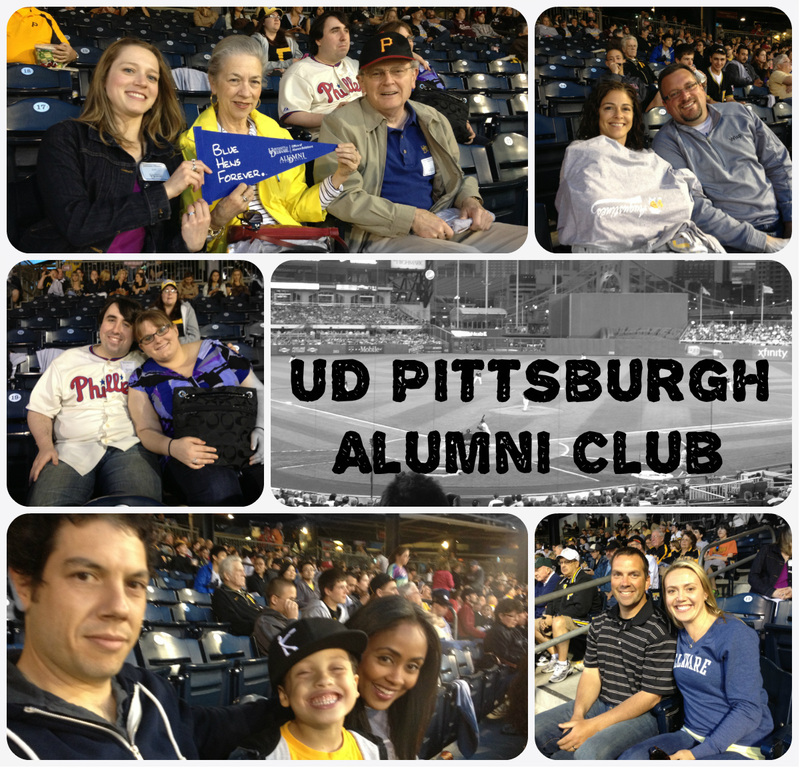 If you are a UD alum in the Pittsburgh area, you can follow the UD Pittsburgh Alumni Club on Facebook here or find out more about UD Alumni Relations and Alumni Clubs in general here.